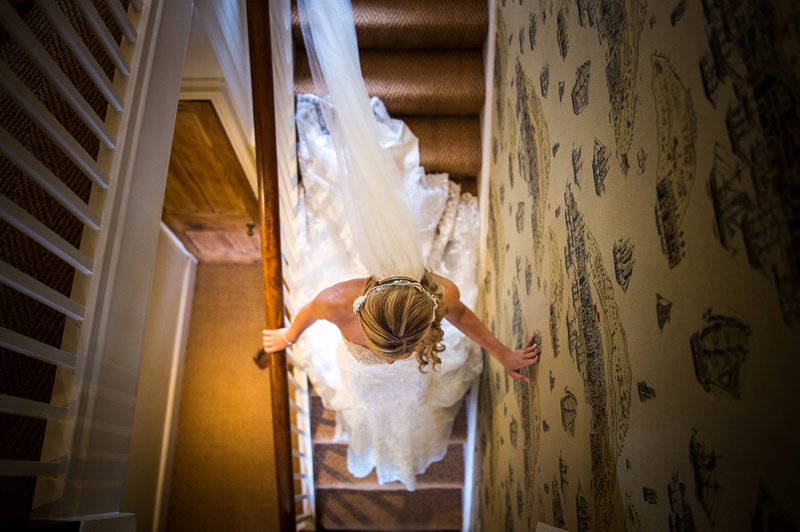 Eaves Hall in Clitheroe is one of the Ribble Valley wedding venues. 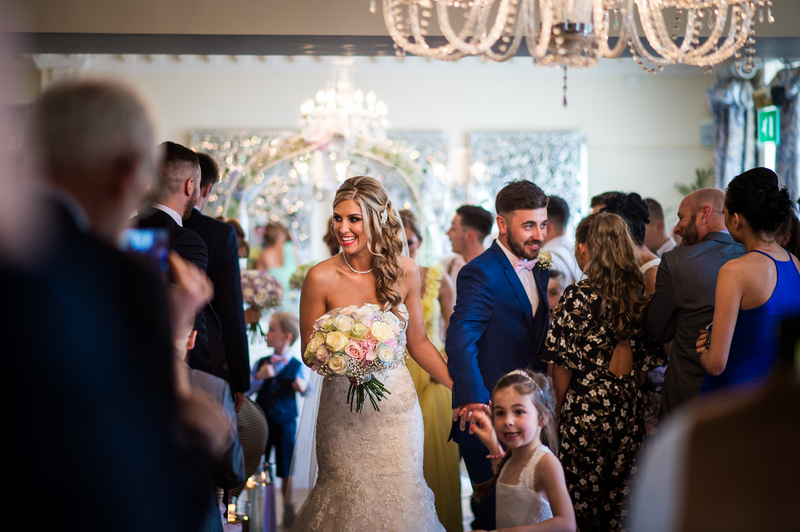 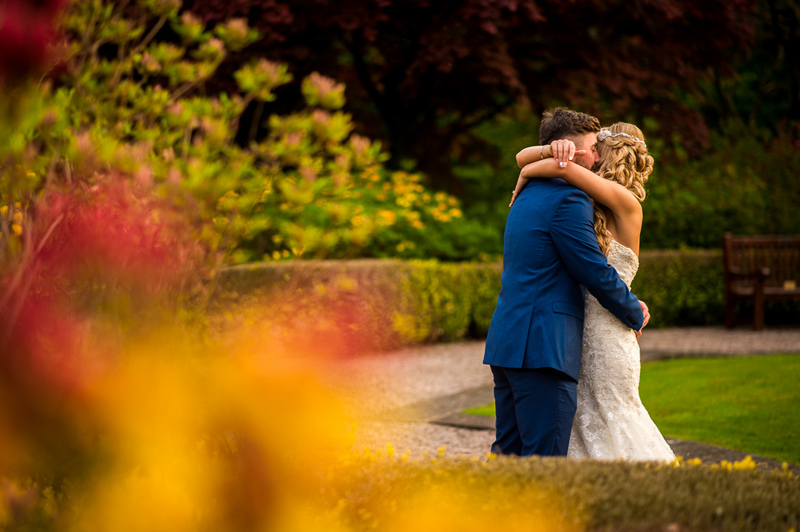 It is an absolutely beautiful venue for wedding photography and Abbie and Craig’s Eaves Hall Wedding Photography was no exception. 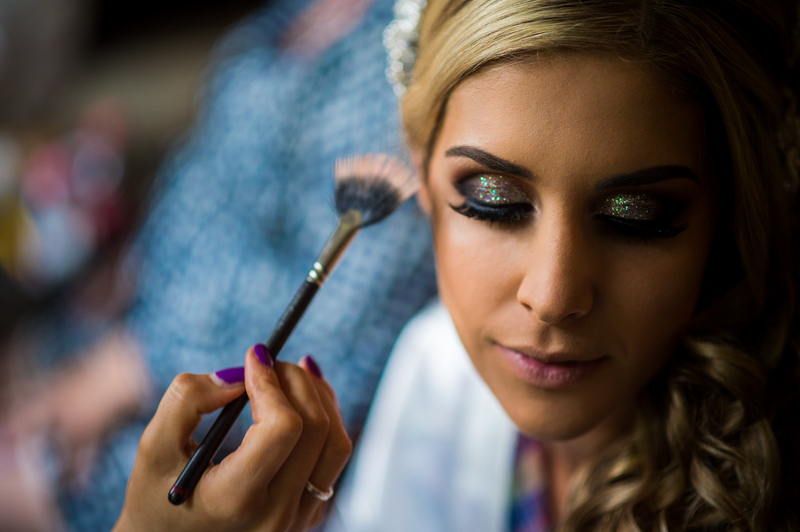 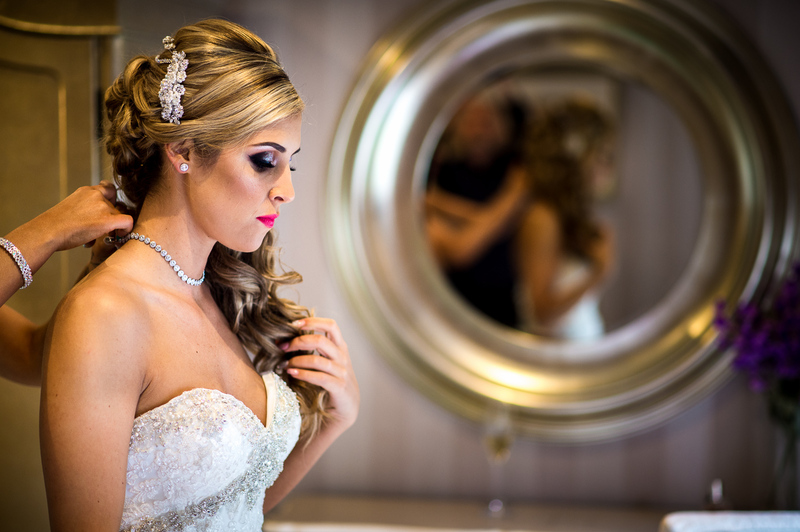 We started the day off with the beautiful Bride getting ready in the Lodge, just at the bottom of the hill which leads to Eaves Hall. 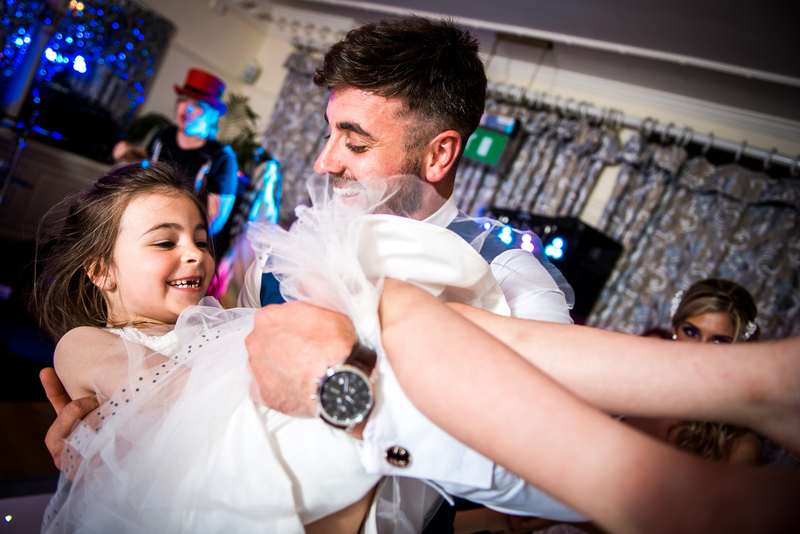 When I arrived at the venue I was greeted by Lexie, the bride and groom’s daughter. 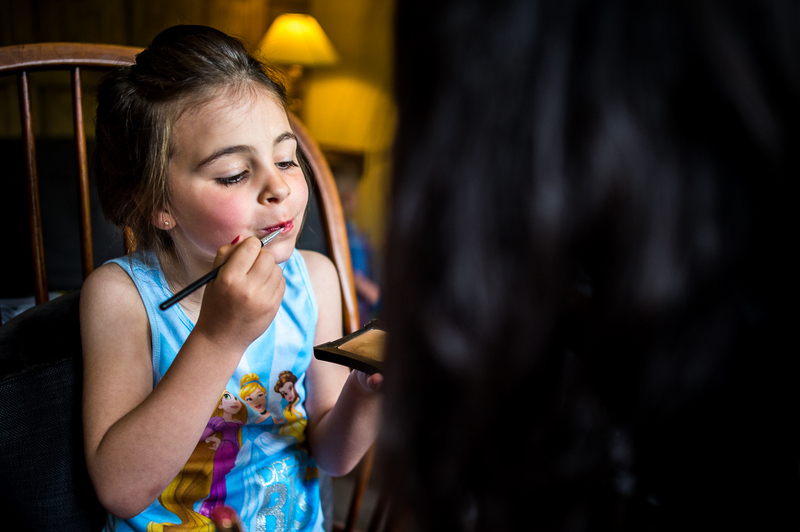 That’s her putting her lipstick on below! 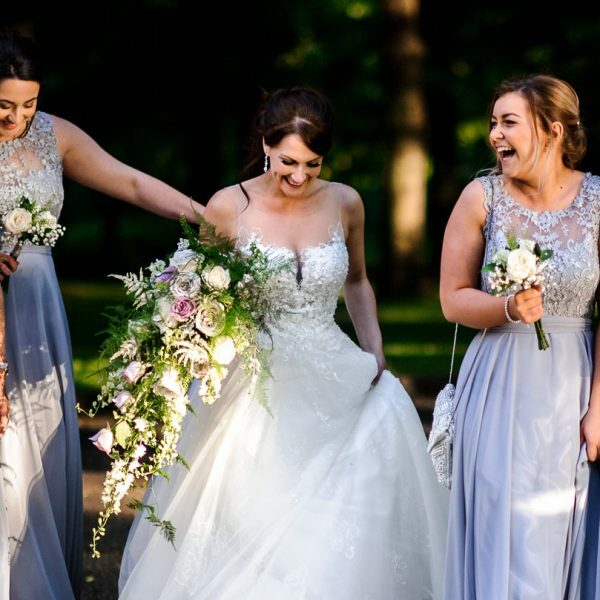 The rain was so heavy when I arrived, there was actual waterfalls running down the Eaves Hall driveway, so the bride and her bridesmaids were understandably a little worried that the big day was going to be a big washout! 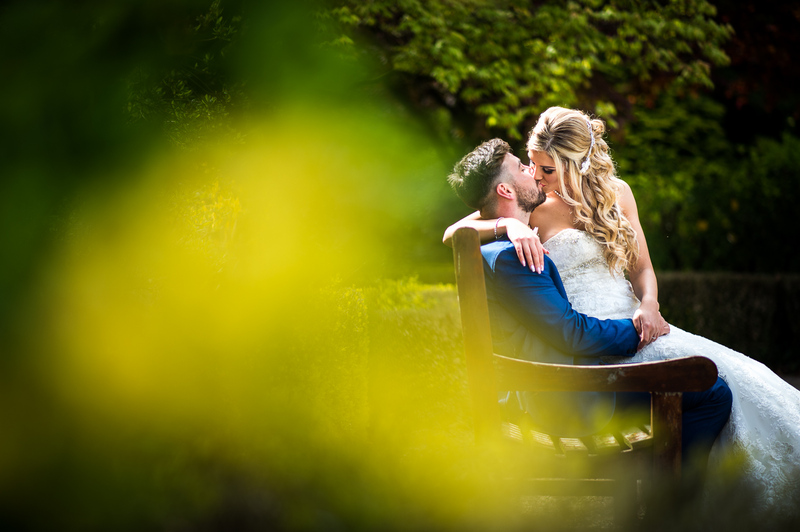 Luckily, as soon as Abbie was ready and the bridal prep was over, We were glad to see that the rain stopped and the clouds gave way to a beautifully sunny day. 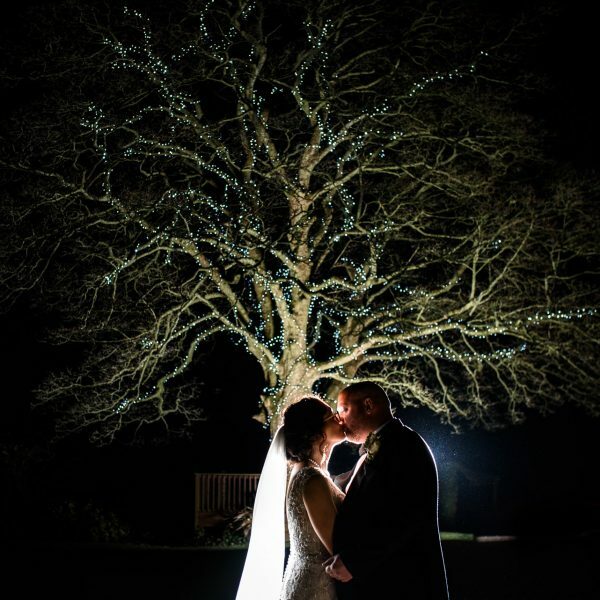 Therefore, her Eaves Hall Wedding Photography turned out amazing as a result. 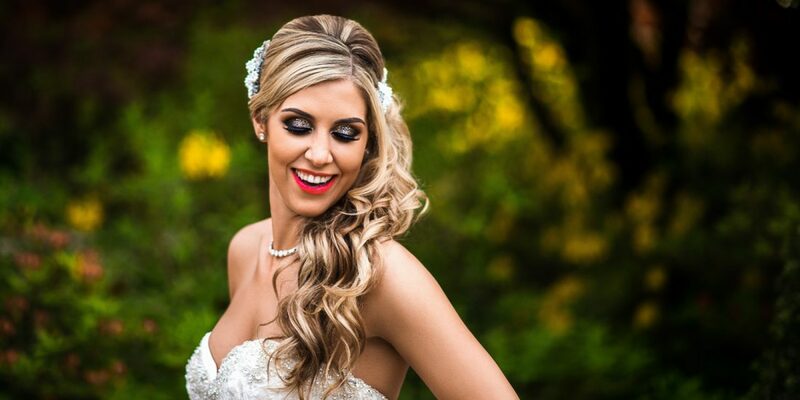 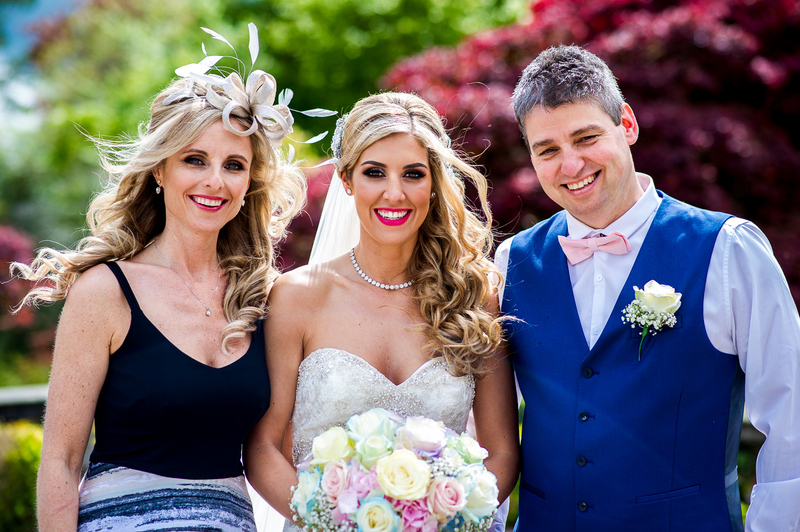 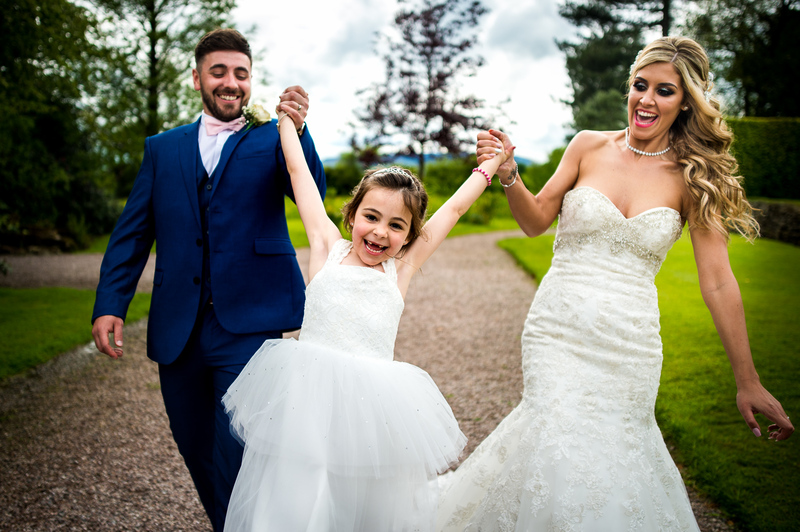 Abbie’s wedding dress was a beautiful ivory & Silver fishtail gown from Emma Hartley. 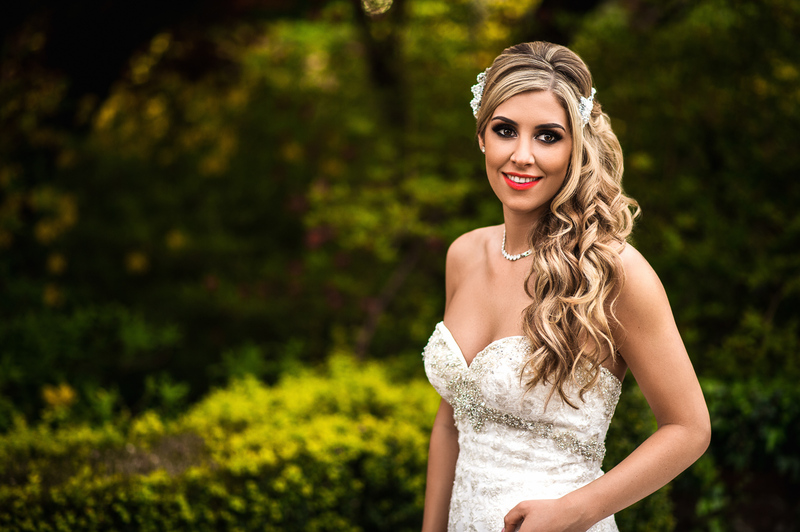 She wore gorgeous ivory Benjamin Adams with a diamante clasp. 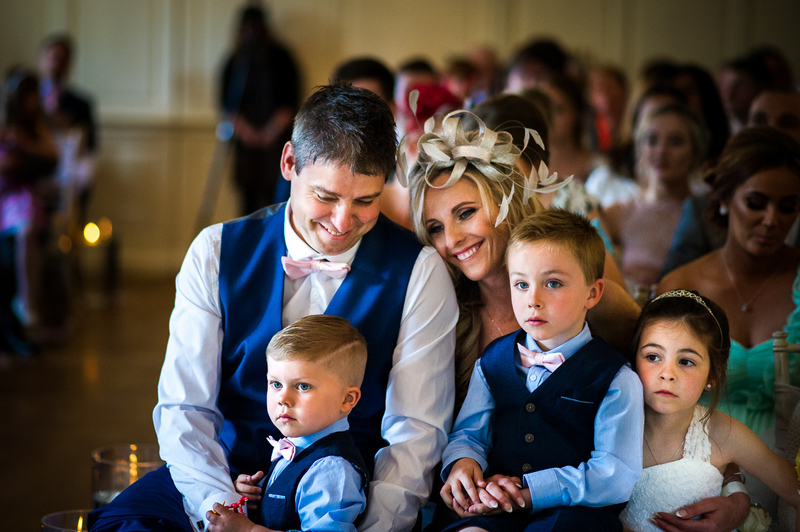 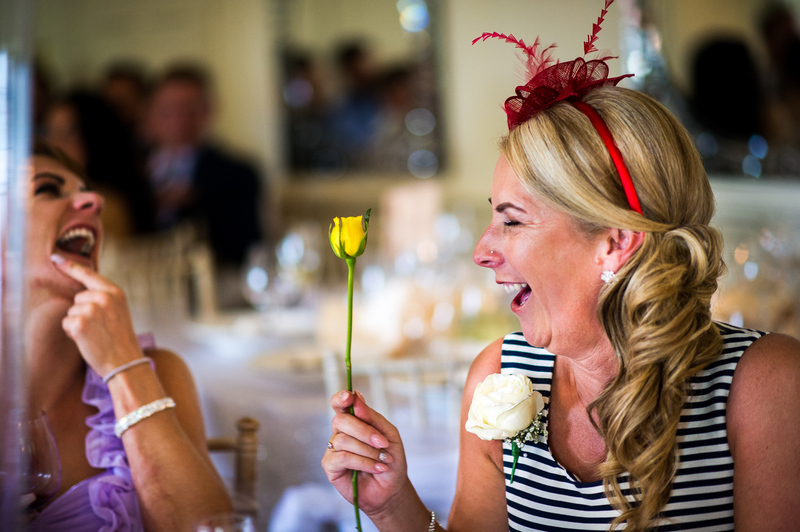 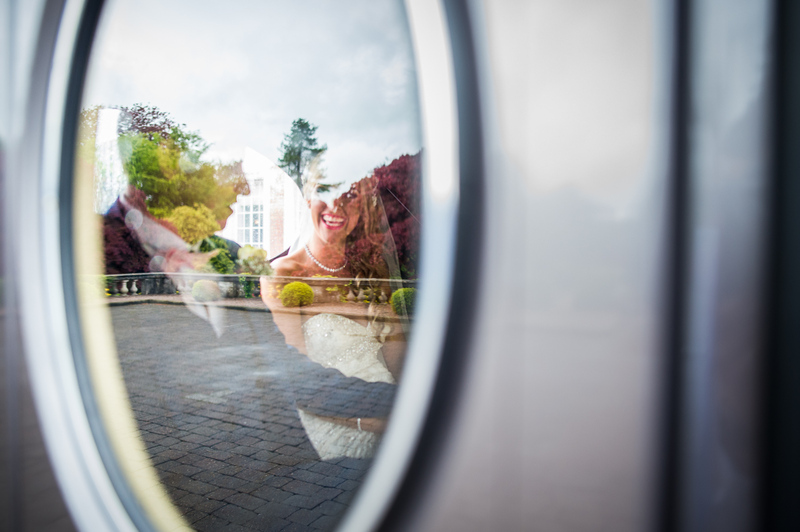 you can see from the Eaves Hall wedding photography below that it was a perfect combination. 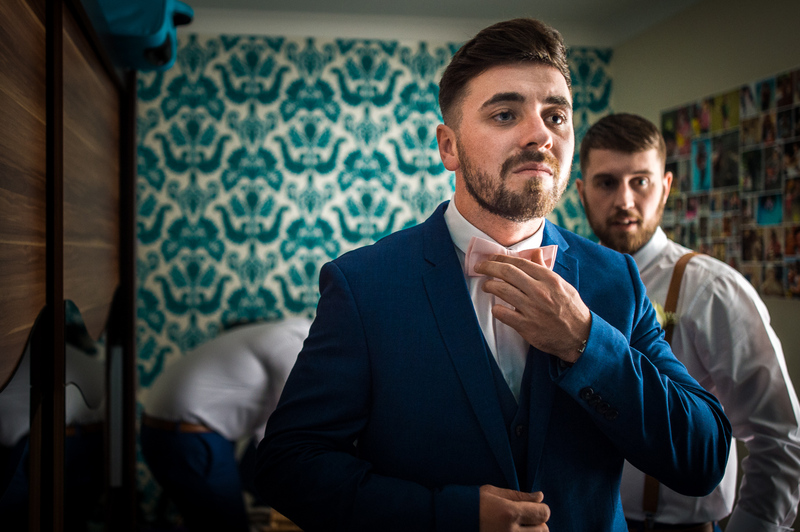 Matt, my second, photographed our groom as he got ready at home with his best man and groomsmen. 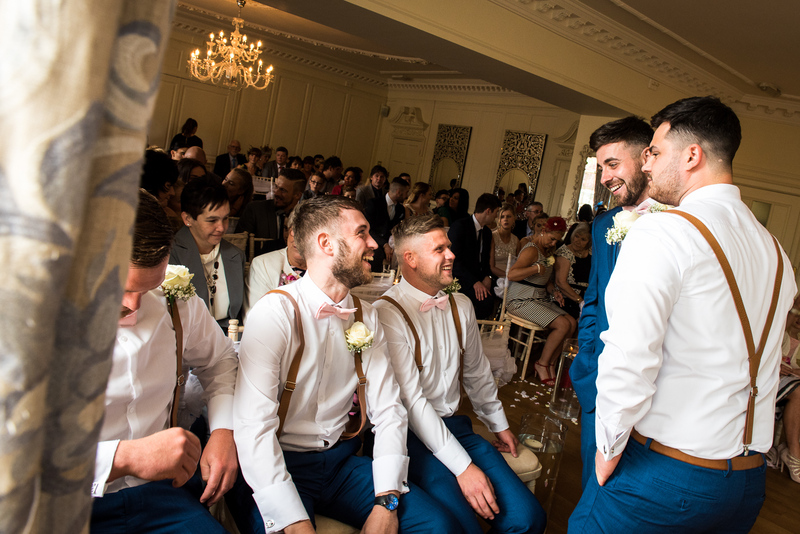 They all wore blue 3-piece suits with pink neckties and brown leather braces. 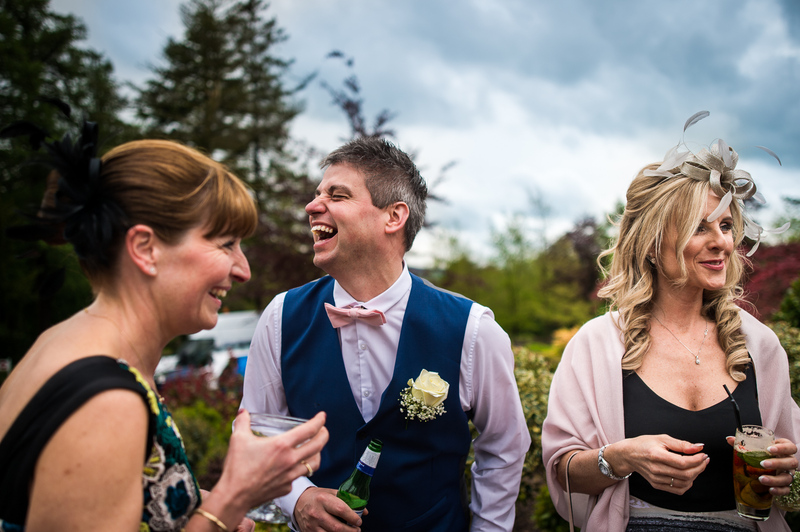 Our groom didn’t wear a waistcoat which was a lovely way to differentiate. 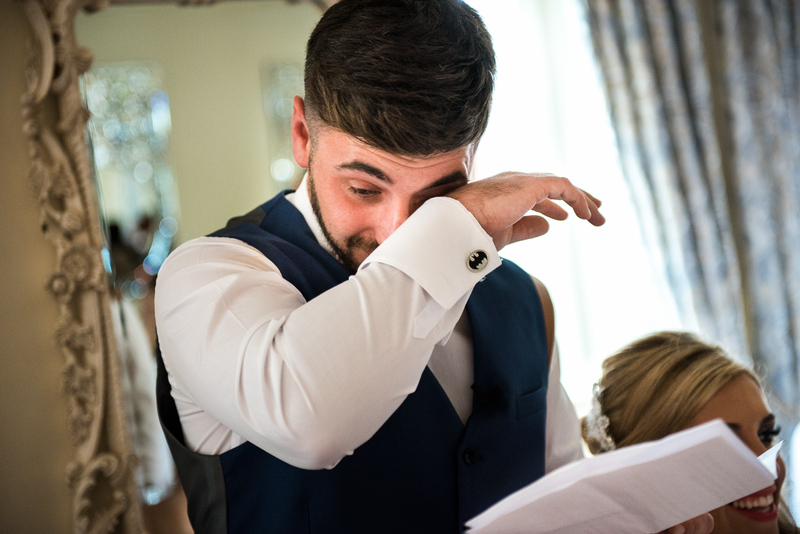 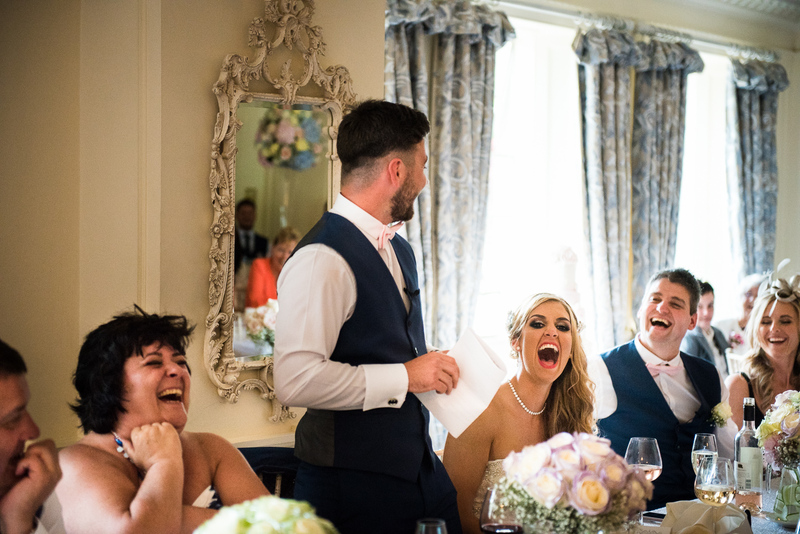 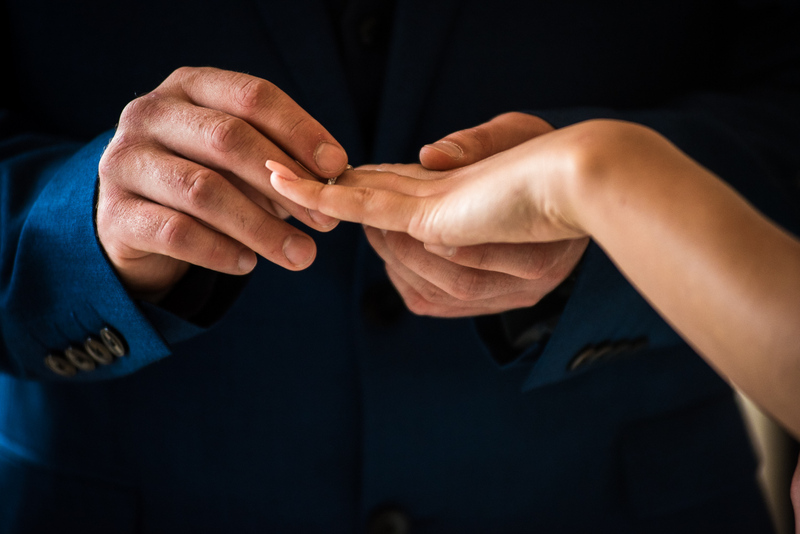 During the beautiful wedding ceremony in Eaves Hall, the guests shed quite a few tears during the exchange of the rings and the self-written marriage vows. 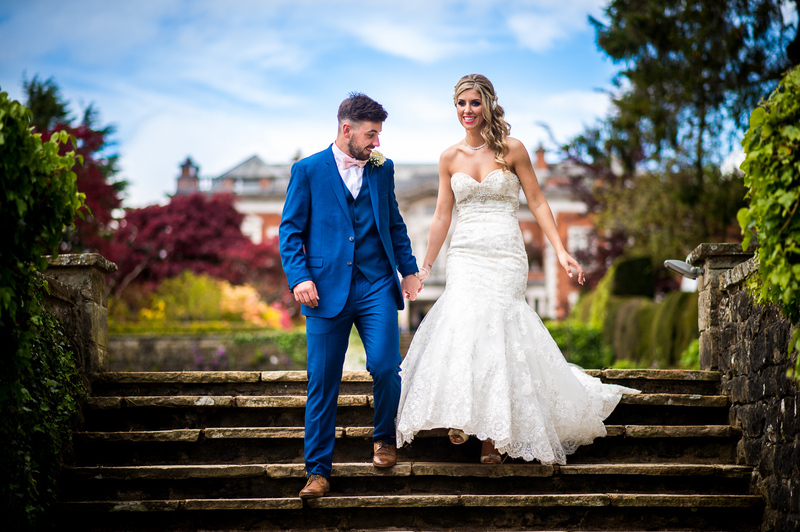 Following this, we took to the grounds for some group photographs and then the main couple wedding photographs. 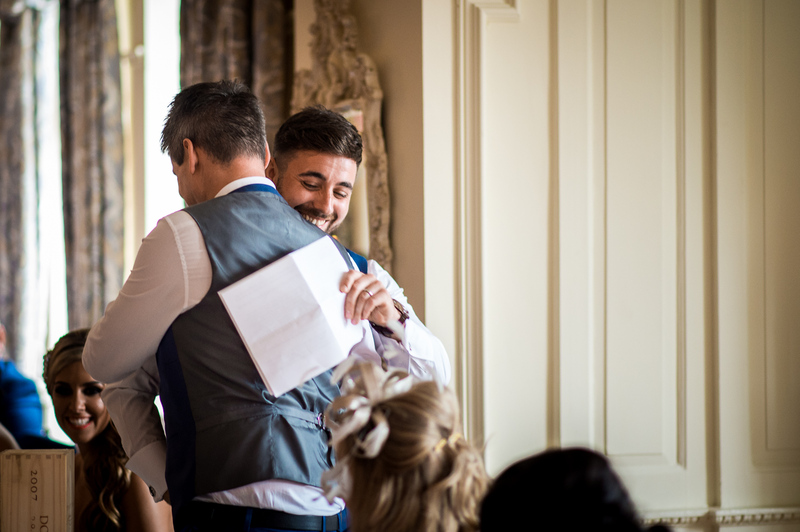 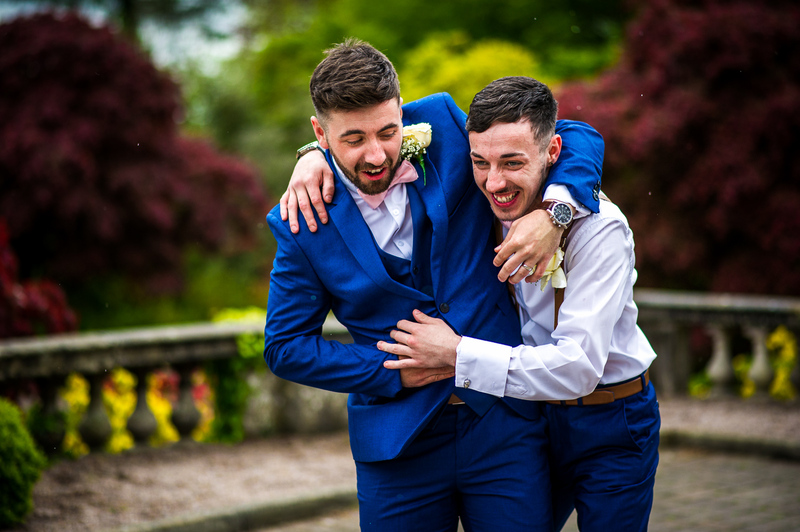 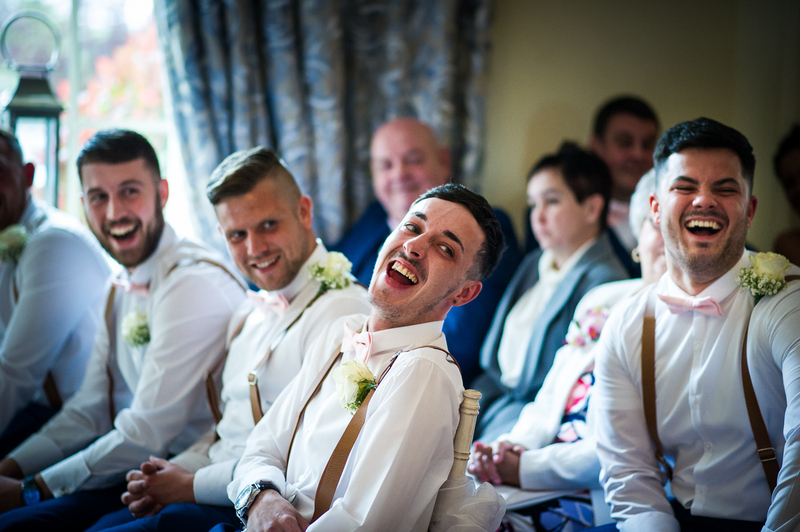 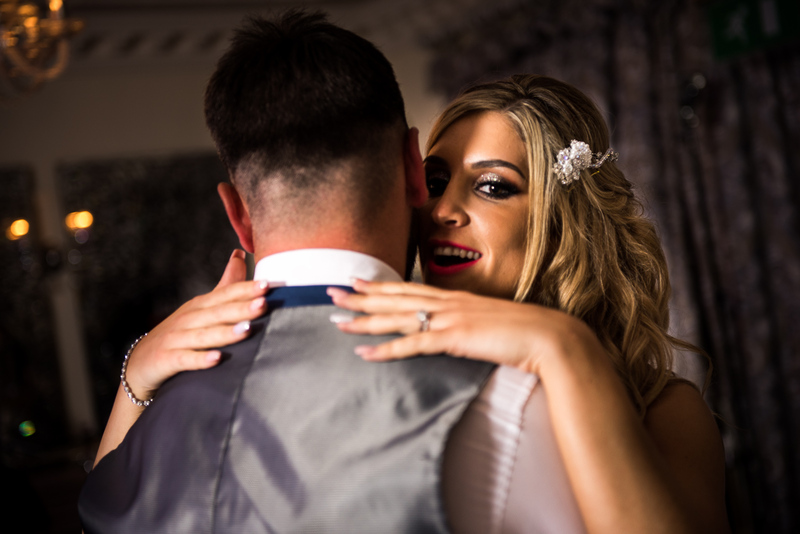 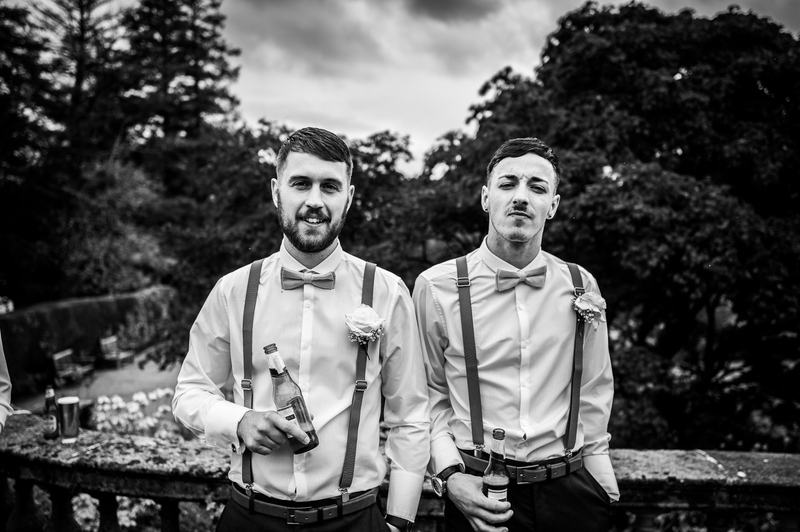 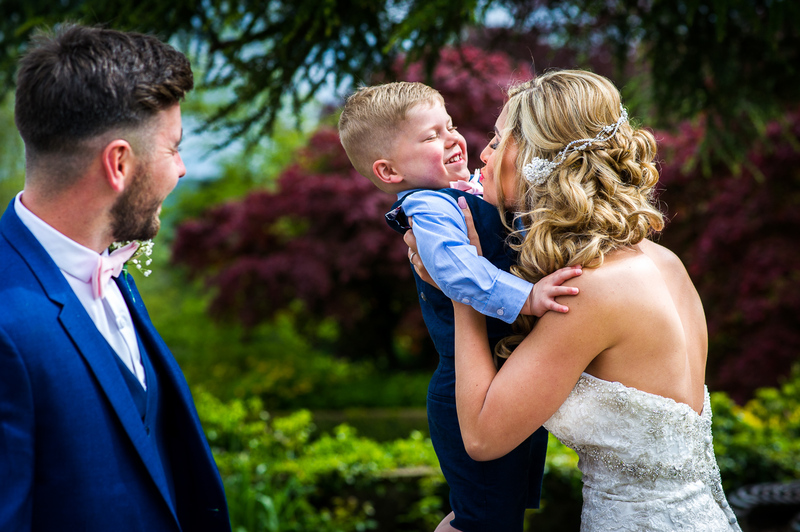 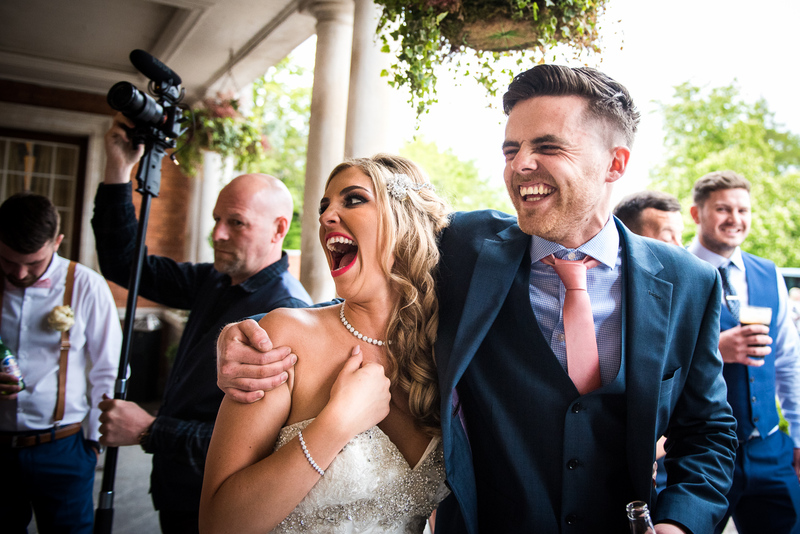 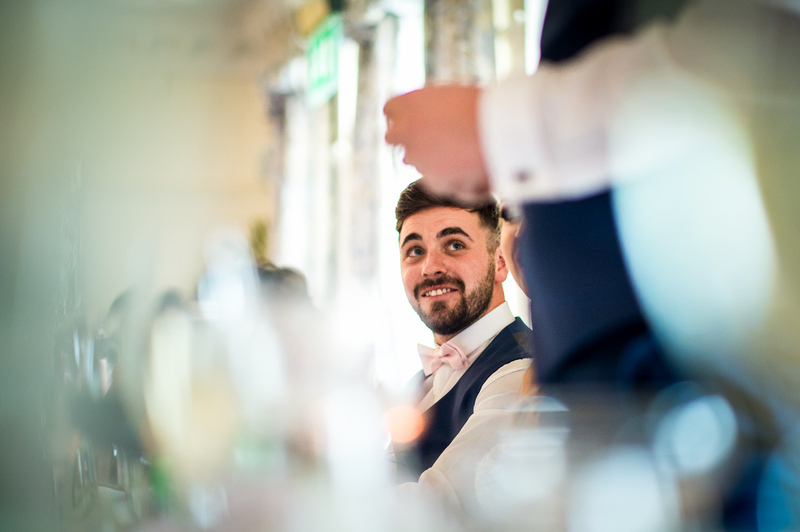 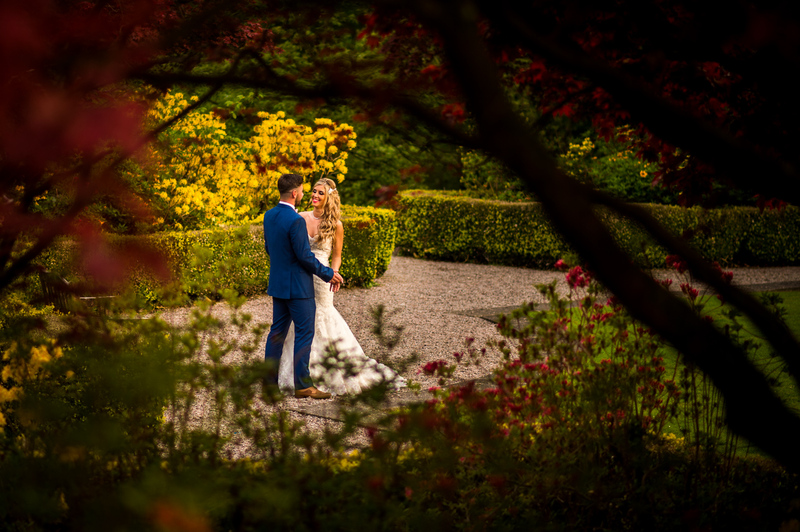 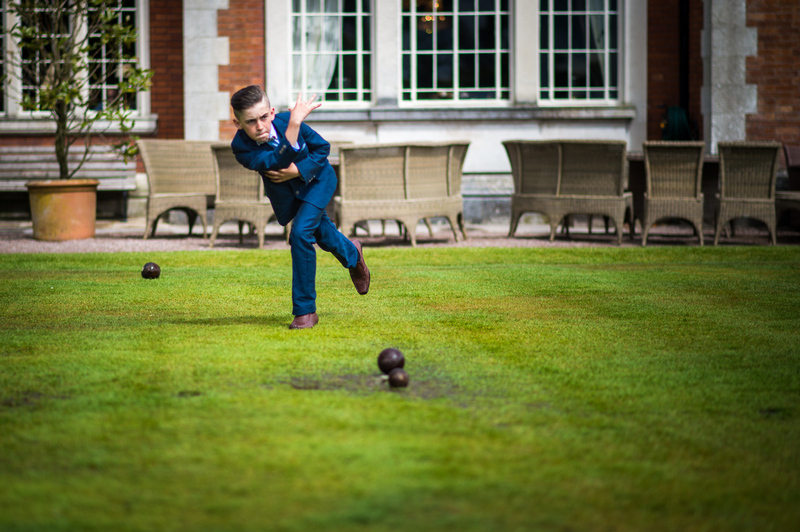 I simply asked our Bride and Groom to go for a relaxed walk around the beautiful eaves hall grounds, while myself and Manchester wedding photographer Matt Warrington captured their Eaves Hall Wedding Photography in an unobtrusive and documentary style. 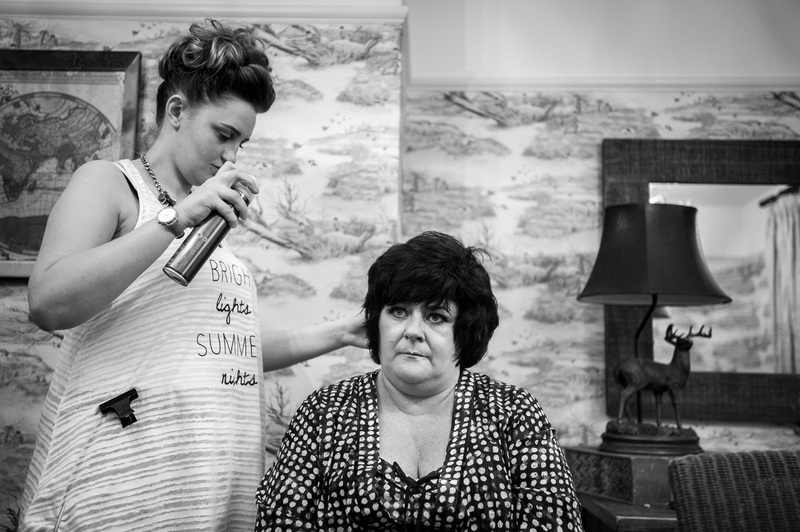 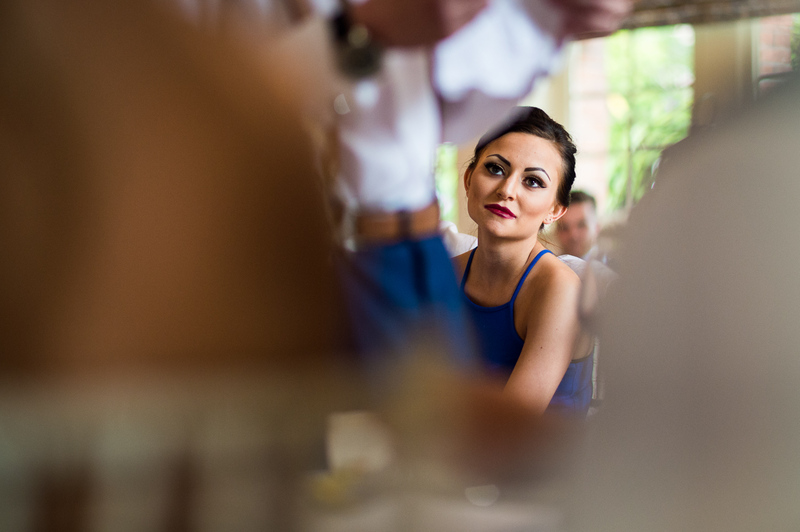 I absolutely love this style of photography – capturing real, natural moments, nothing posed or staged. 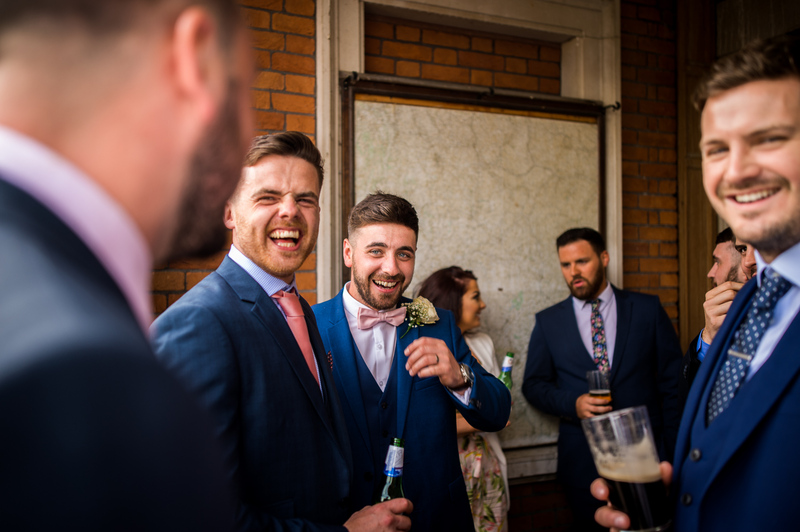 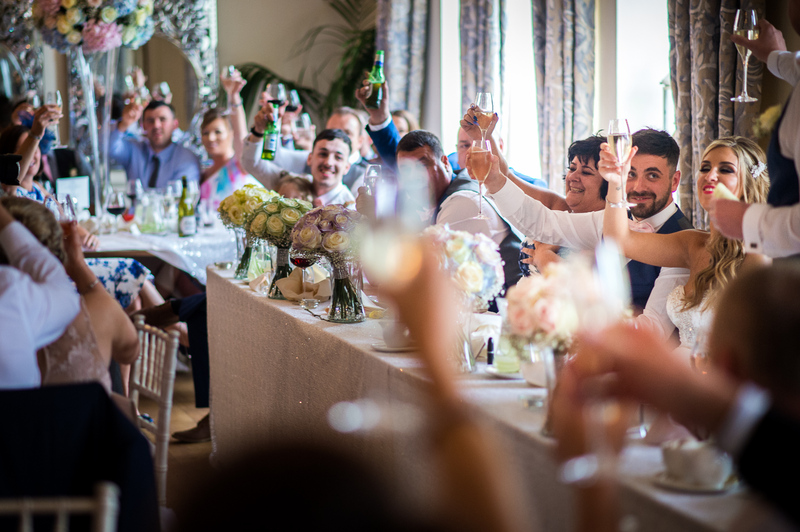 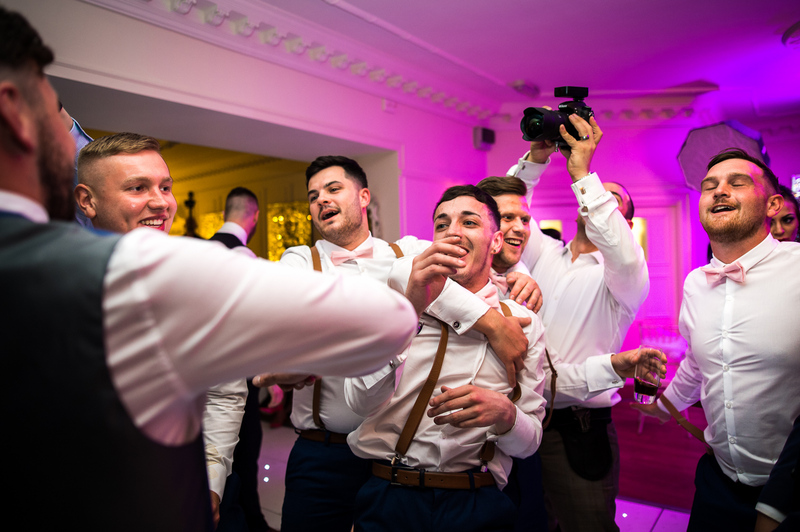 During the group photographs, my second photographer Matt captured some stunning Eaves Hall Wedding Photography of the wedding guests during the drinks reception. 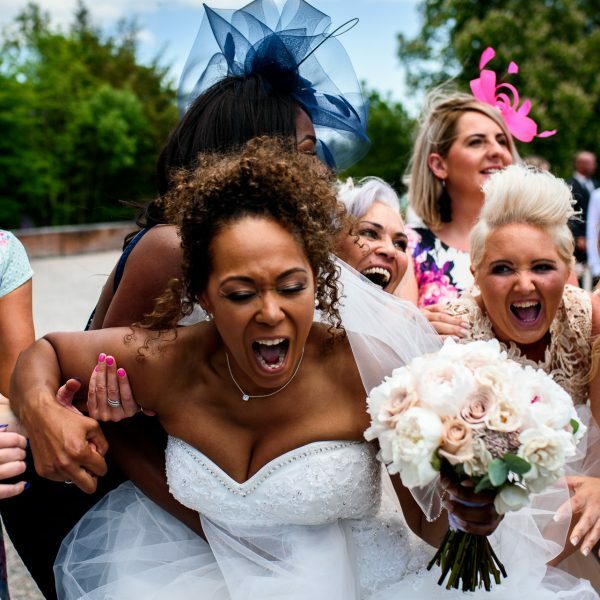 I always love to have a second photographer with me to capture these beautiful, natural moments and to make sure nothing is missed while I take the group shots. 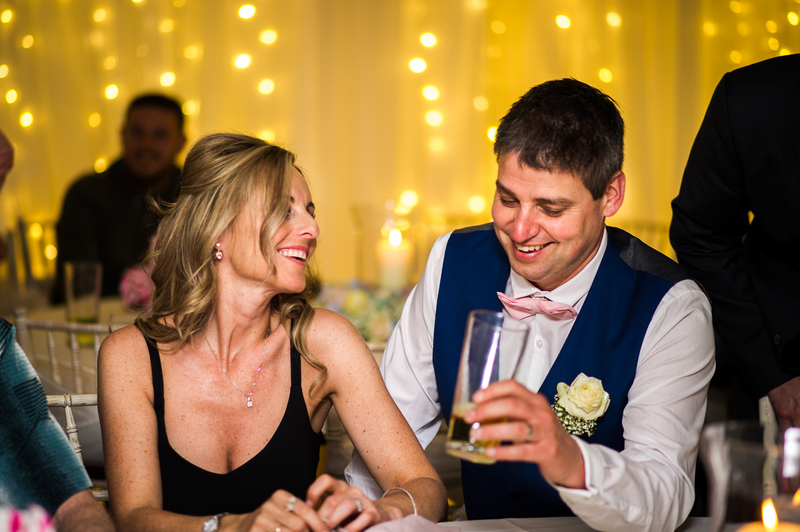 We then had the wedding breakfast and the food at eaves hall wedding venue is absolutely stunning. 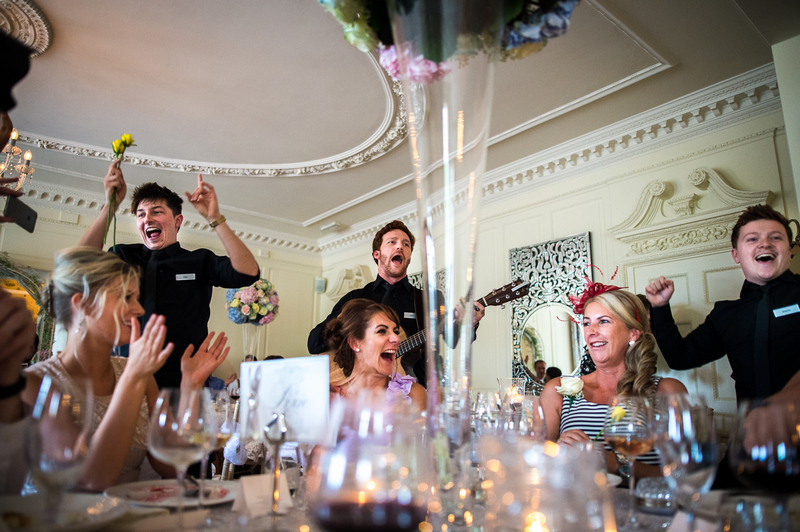 The entertainment commenced during the main course with three fantastic singing waiters, who had pretended to be Russian waiters the whole day. 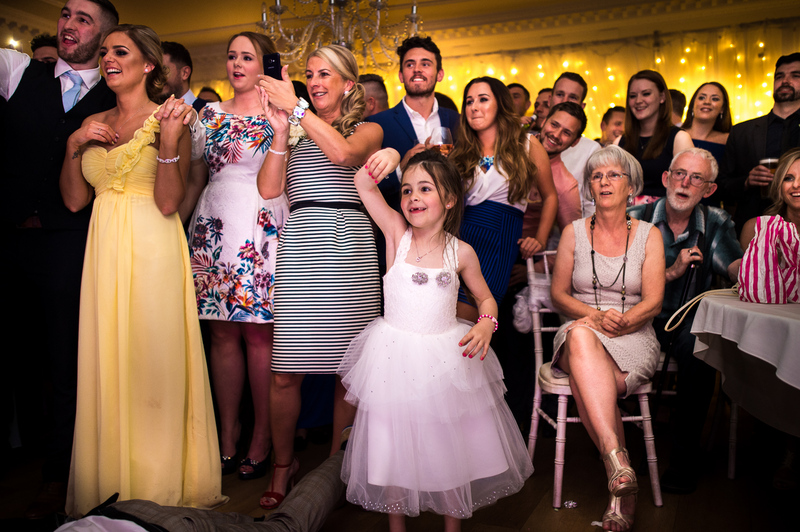 The photography from this amazing show turned out to be fantastic, capturing the guest reactions and the performances was so much fun! 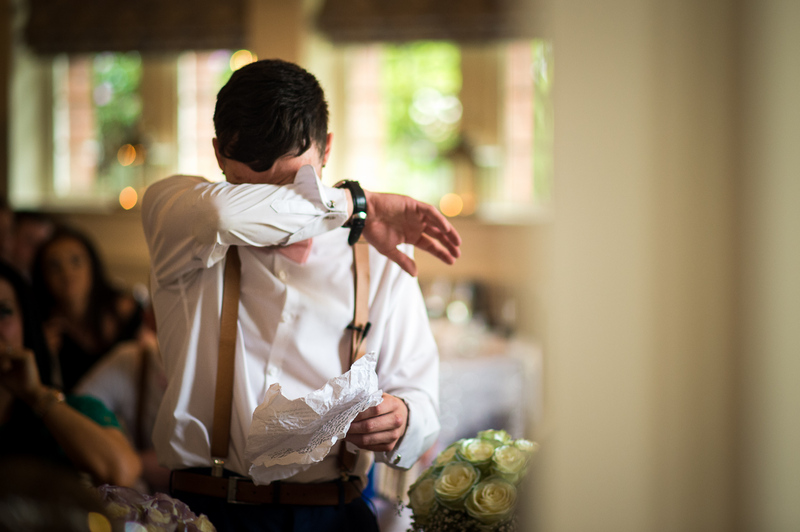 After the wedding breakfast came the speeches, which were hilarious and tear jerking at the same time. 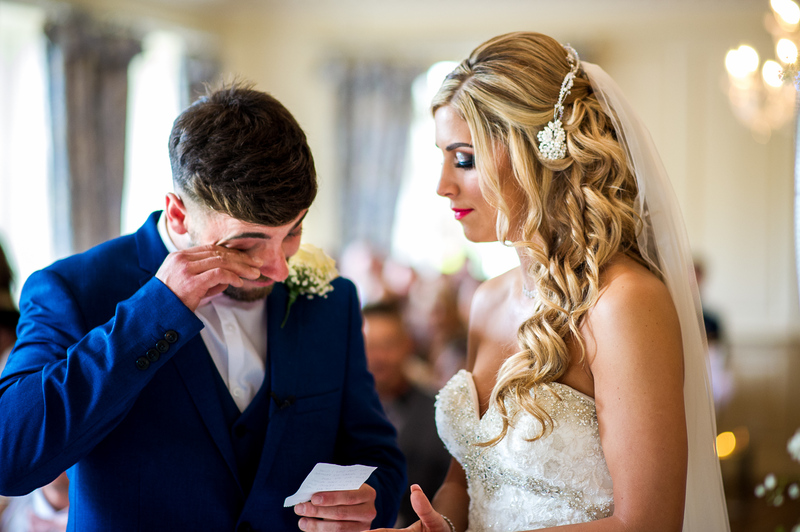 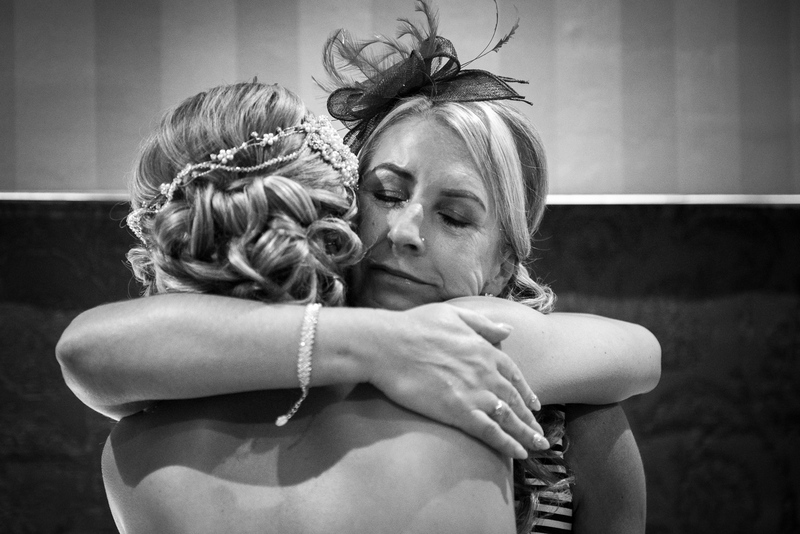 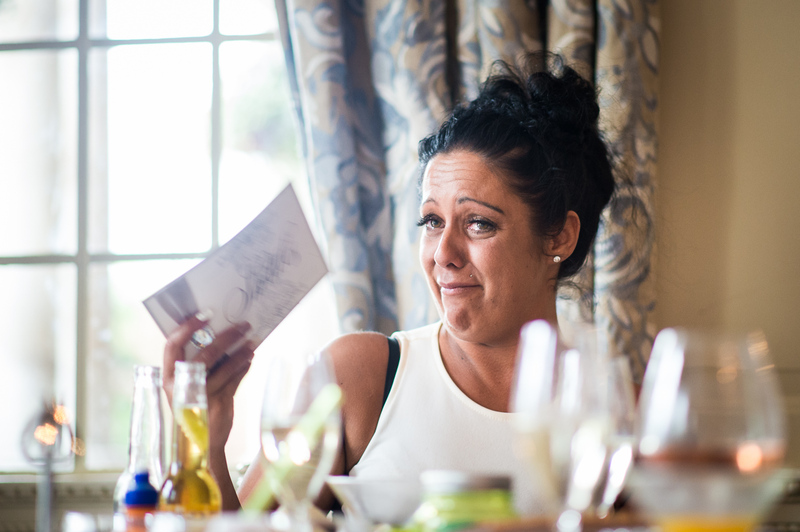 Indeed,by the end of the father of the bride and best man speeches, there was hardly a dry eye in the room. 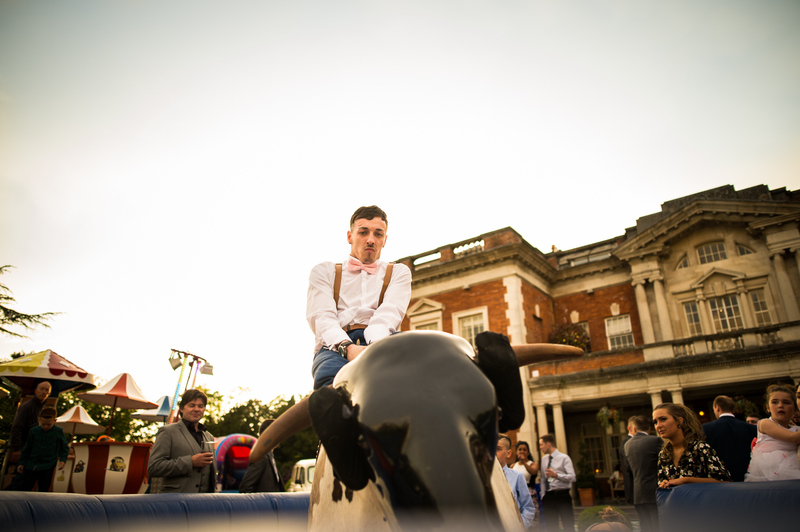 After the wedding breakfast the wedding party and guests headed outside, where the evening sun was just setting in what we like to call golden hour, and the entertainment continued for the wedding guests with a rodeo bull, teacups and a London taxi photo booth, keeping the guests happy while the bride, groom and I went for some extra golden hour wedding photography, capturing some lovely moments as the sun went down. 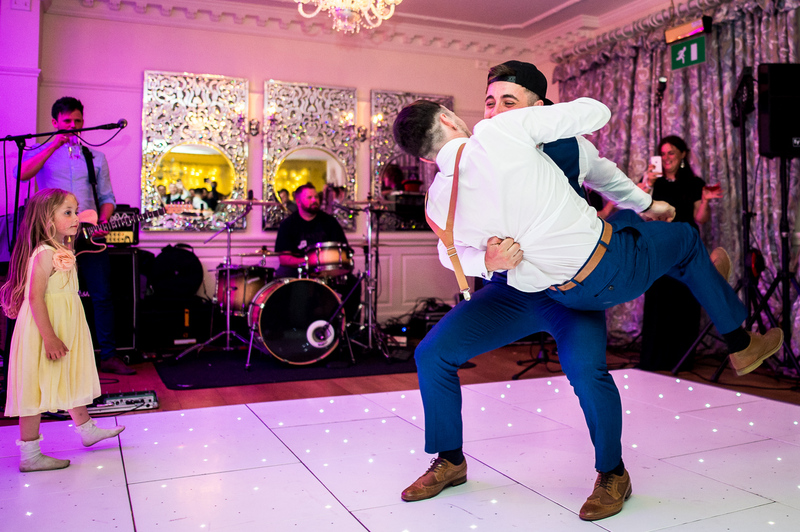 The first dance was truly a spectacle! 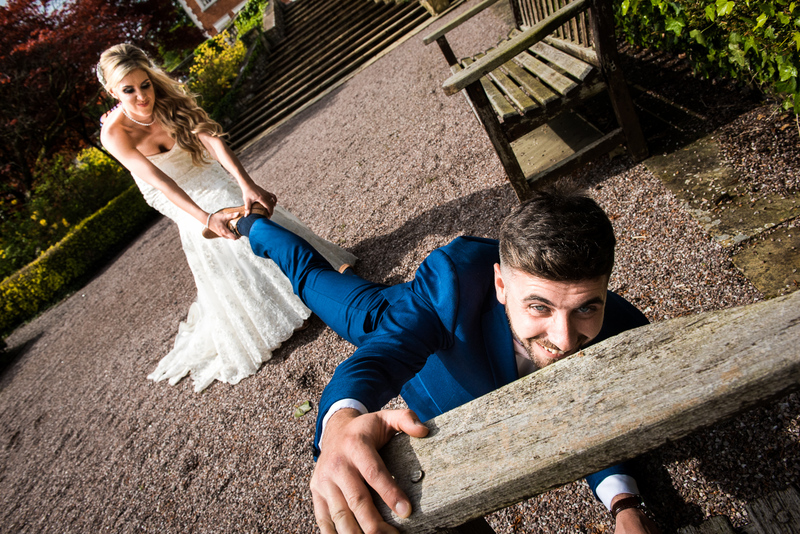 The bride and groom obviously worked hard on this, and the best man also joined in! 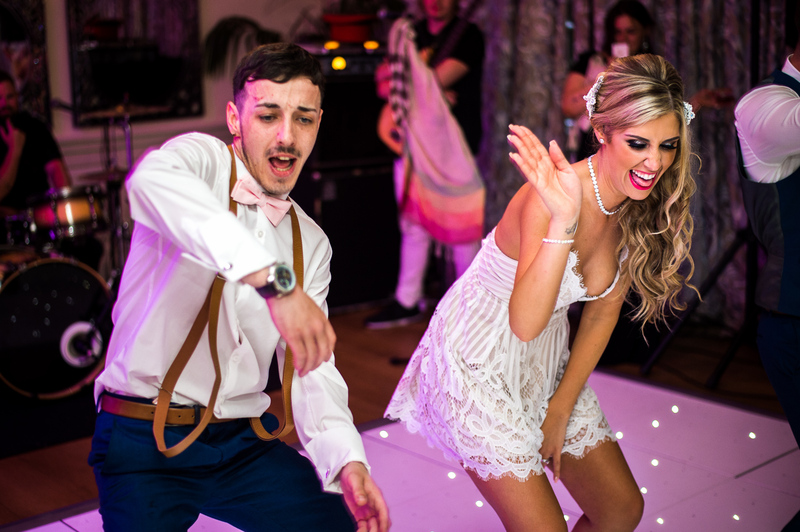 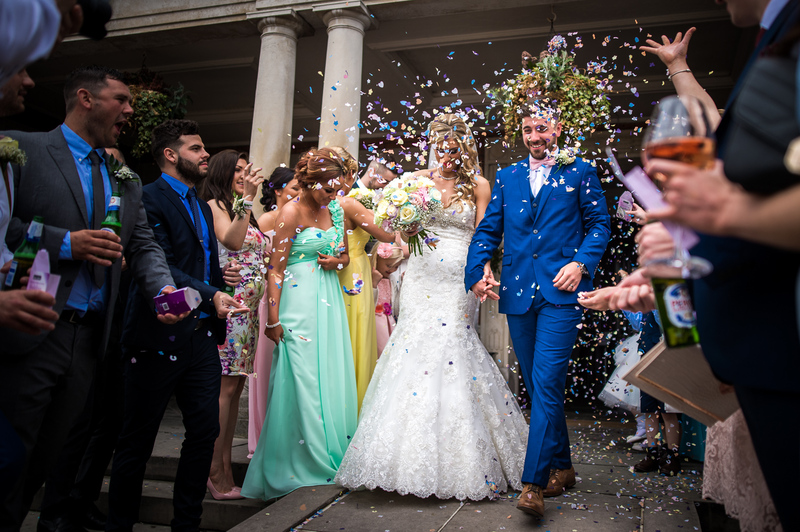 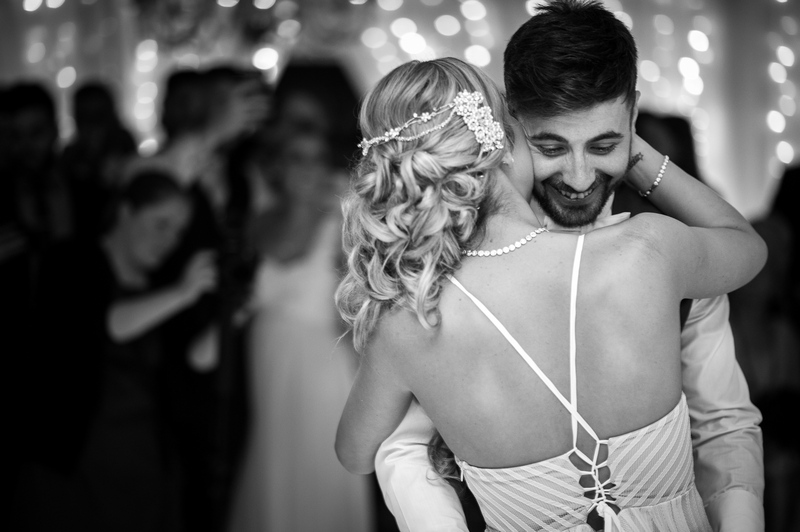 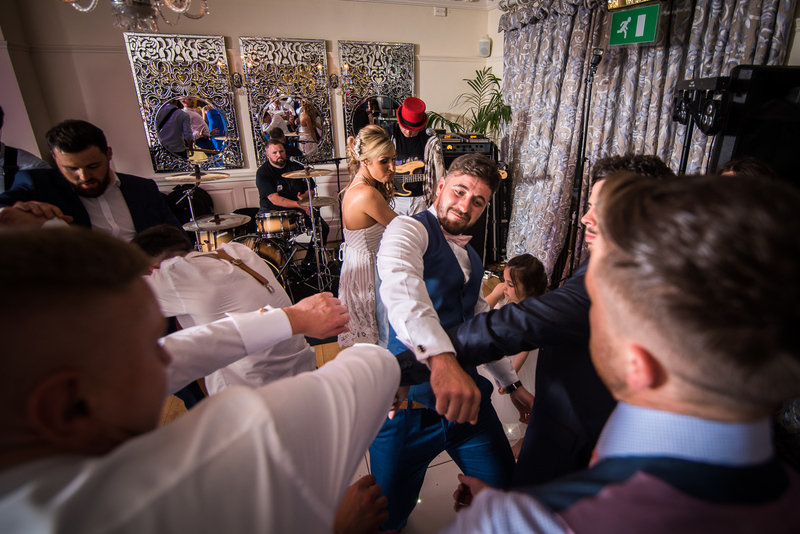 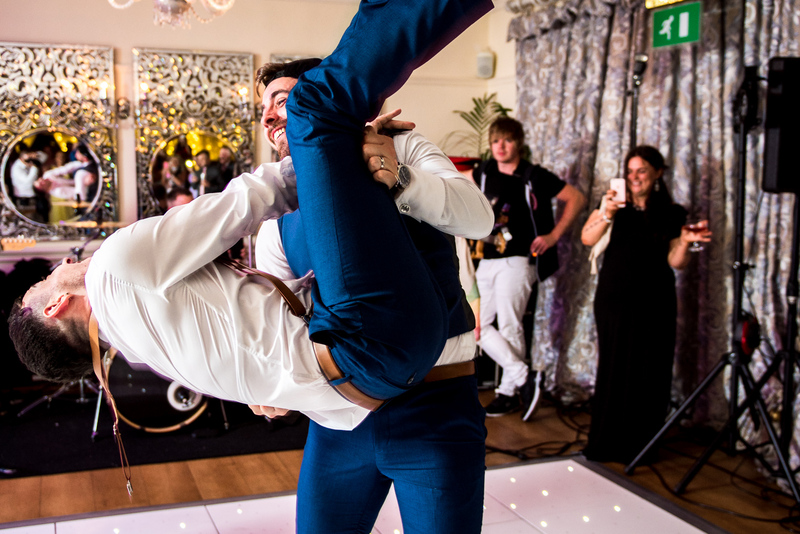 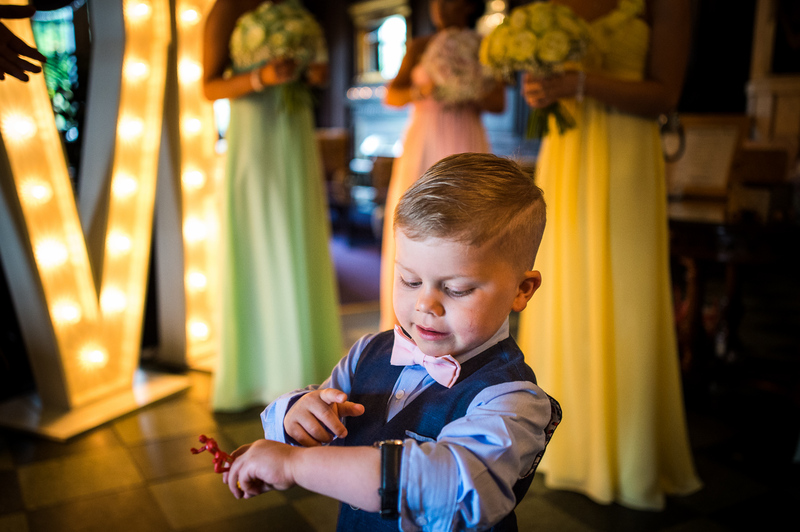 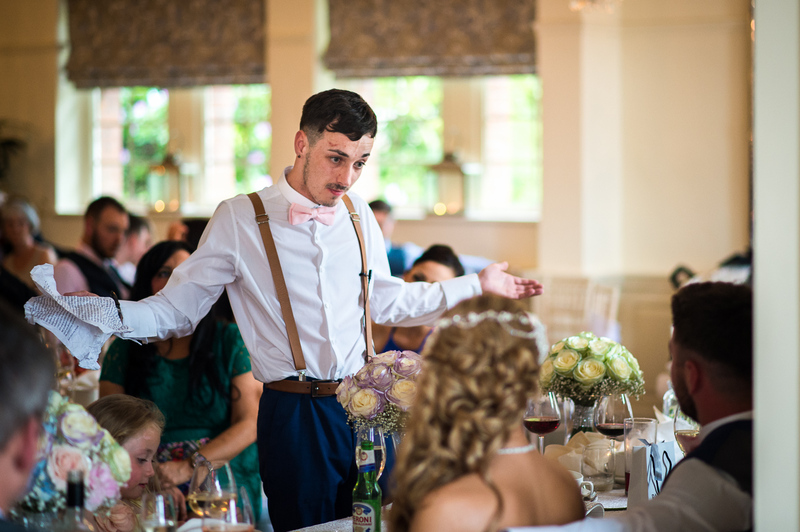 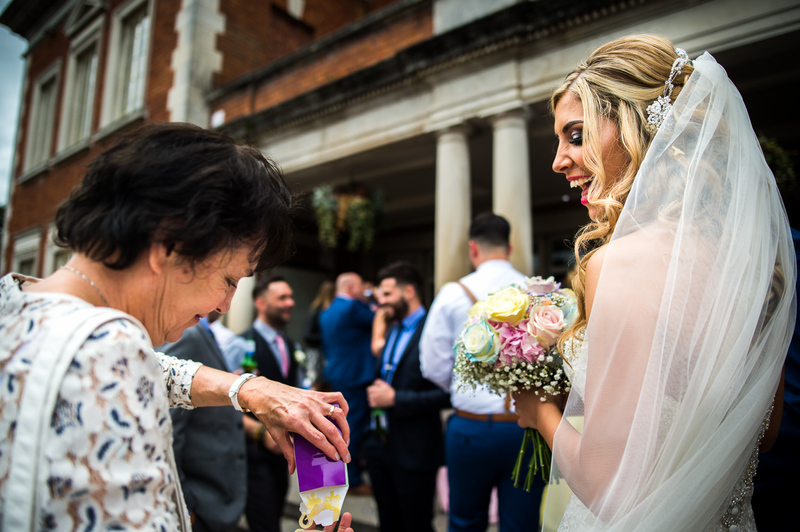 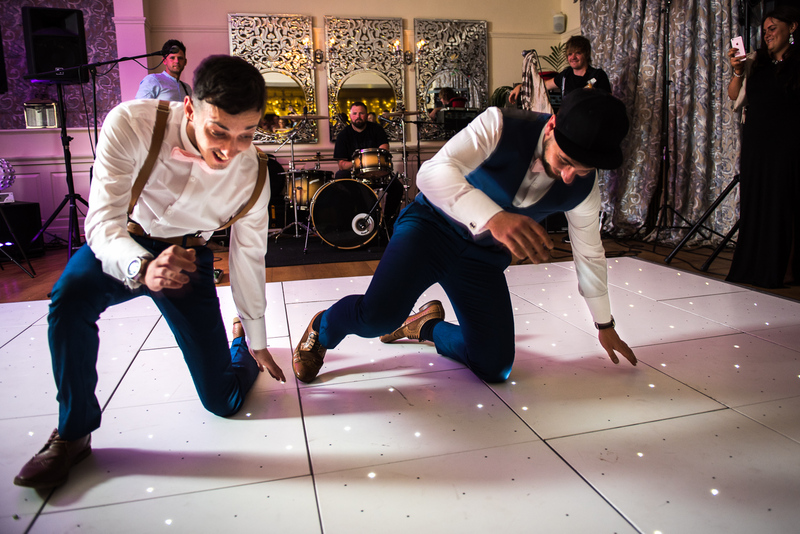 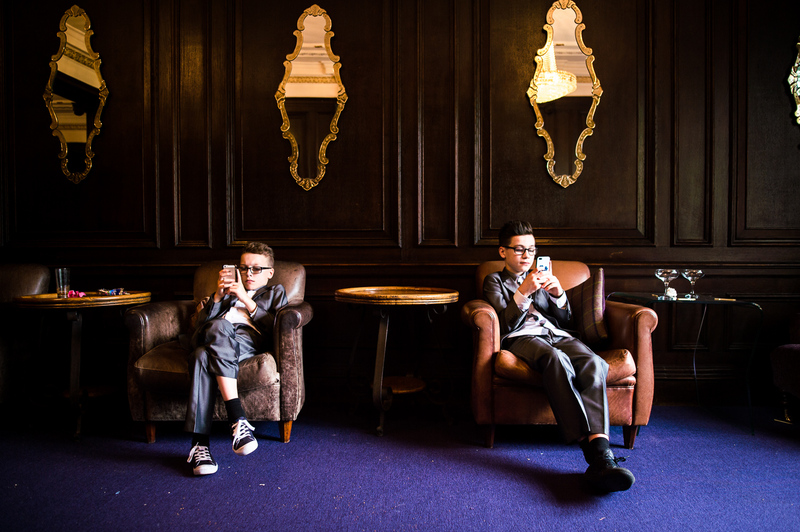 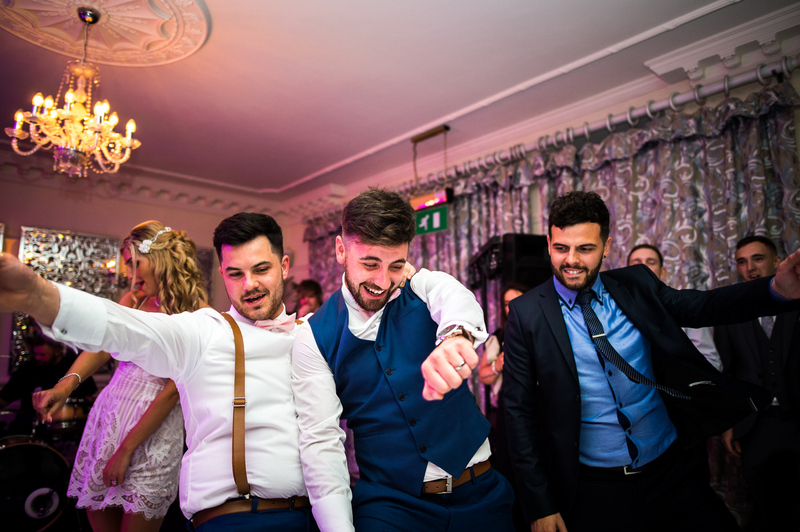 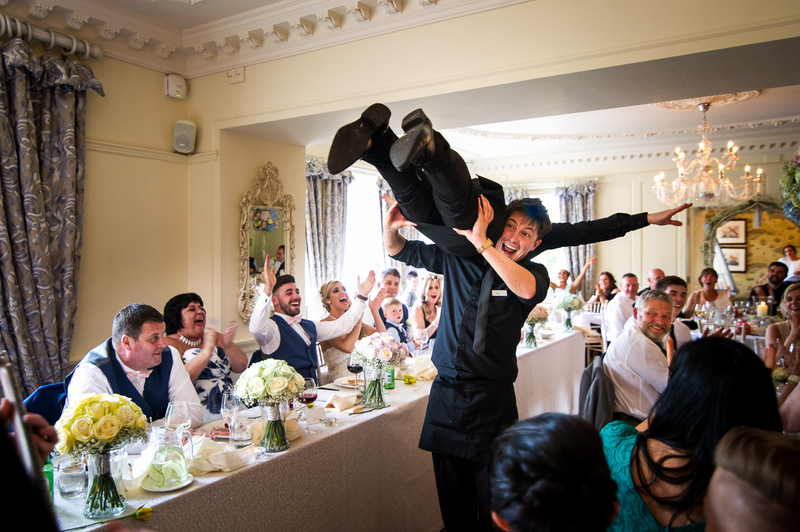 We saw jives, flips and grinds, all beautifully captured in photo and also in video by the fantastic Moviart wedding Films, Mike and Rachel – you can see their video of the day here. 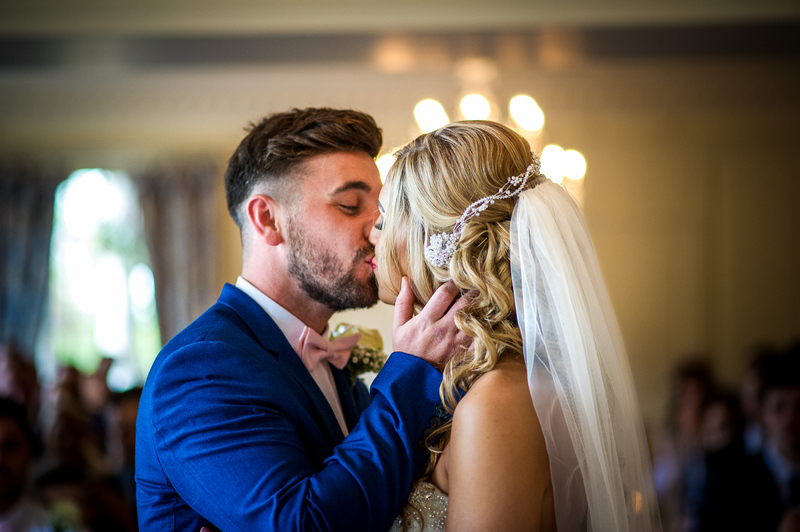 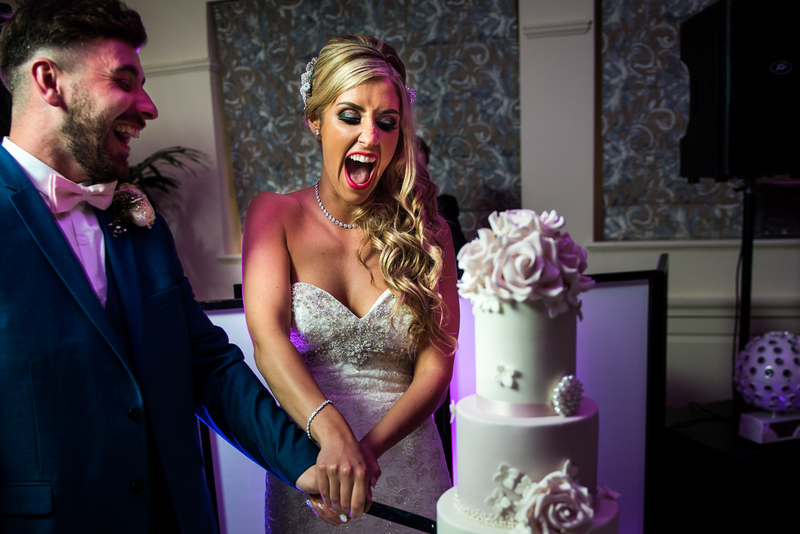 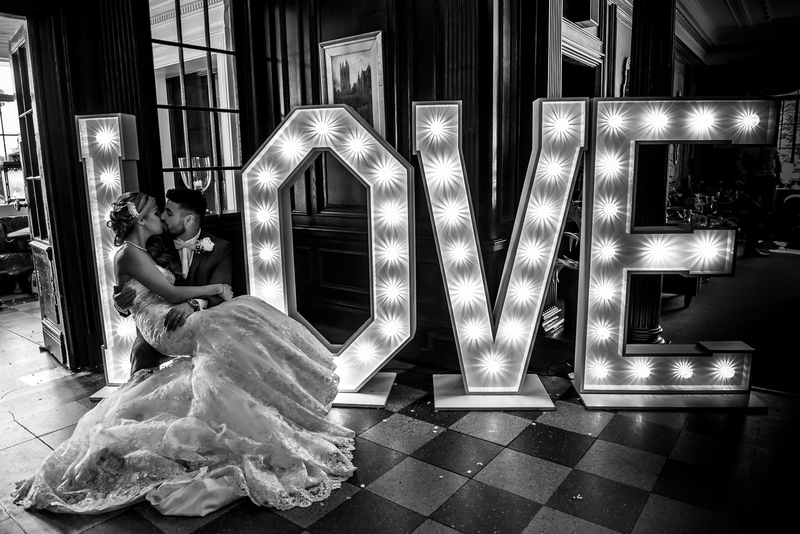 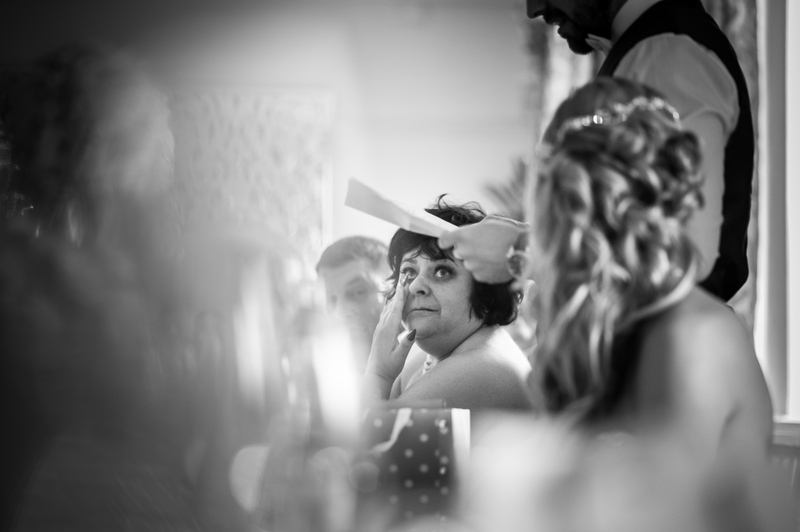 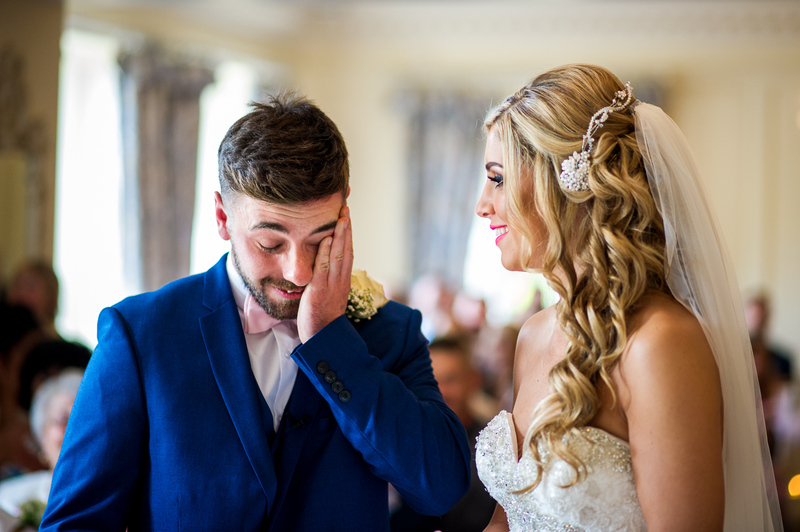 Overall, Abbie and Craig’s Eaves Hall Wedding Photography was one of my favourite sets of images so far this year. 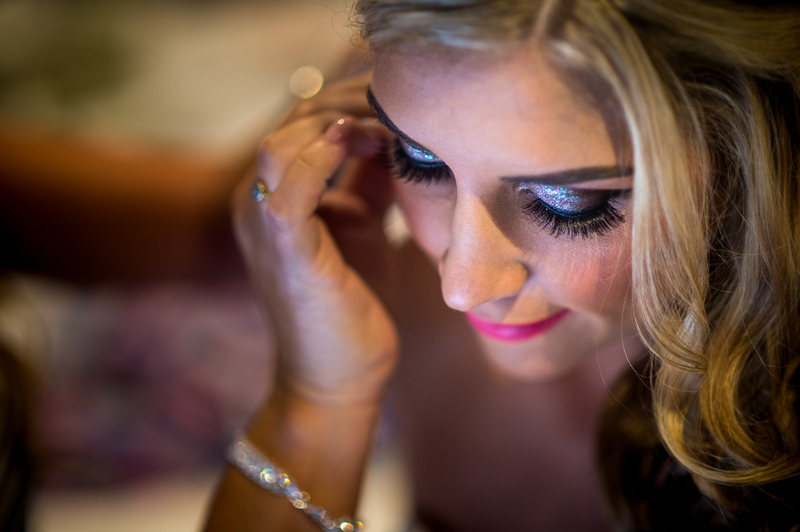 I genuinely believe it made for some of the most beautiful wedding photography at Eaves Hall that I have seen.